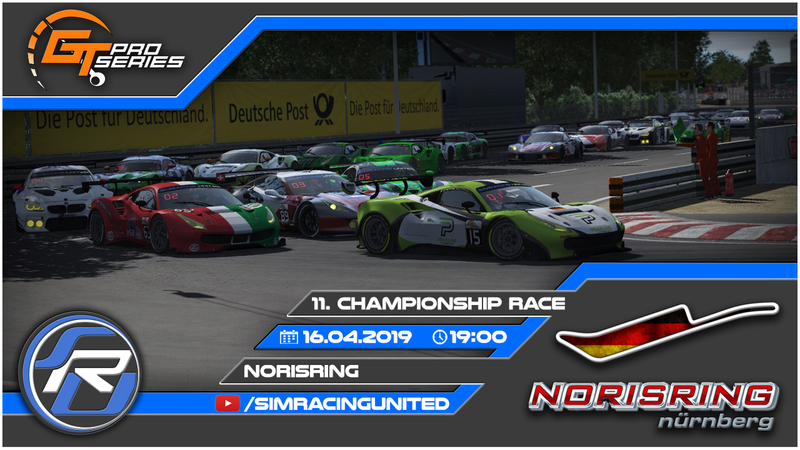 - submitted a skin which matches the painting regulations (deadline: Sunday, April 14, 2019, 4 pm - local time in Germany). ==> *remember: Penalties have to be served within the first 25 race laps after formation lap. There are 13 pits spots in Nürnberg connected to 3 garage spots each. So in Nürnberg 3 drivers share one pit spot. In general we tried to assign team mates to the same pit spot or put active drivers with "inactive" drivers together. Usually drivers may serve penalties given in previous races until lap 15. This is meant to give the opportunity to drive a "normal" race after serving the penalty. 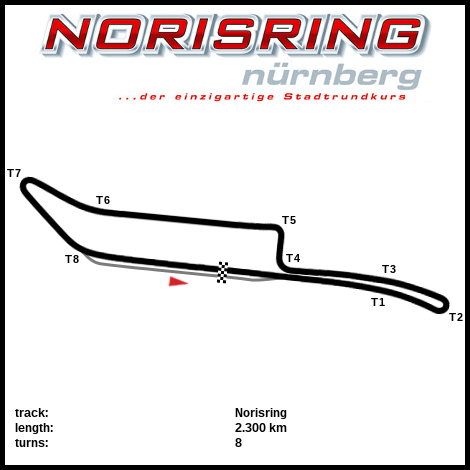 In Nürnberg the race will be about 90 laps. Due to that we increase the no. of laps until a penalty has to be served to 25 laps. Sorry, had to bail, again, stutters. Totally undrivable. Sorry for the hits in T1, stutters made it impossible to judge braking. Bad day at the office. Again. Luckily for me the S9 were perfectly fine. Don't think I would have been much faster with S8. Nice Review, could have been a podium Spot for you. To my race: very good result for me, a little bit surprised. Did no major mistakes and speed was really good. Sascha was driving in his own class. Hoped that he would get stuck in traffic with his new tires after pit stop, but he managed everything perfect, so no chance for me. So now to the last race with a bit of Kg, still hope for a top10 finish. Messing around with in car pit menu I lost all focus and when I look up again I already passed 100m sign into turn 1. We're lucky not to hit Felix. Which may have thought I have gone in full kamikazi mode. Damn that was stupid.